Hello guys! After a very long time, finally we're ready for this decision. 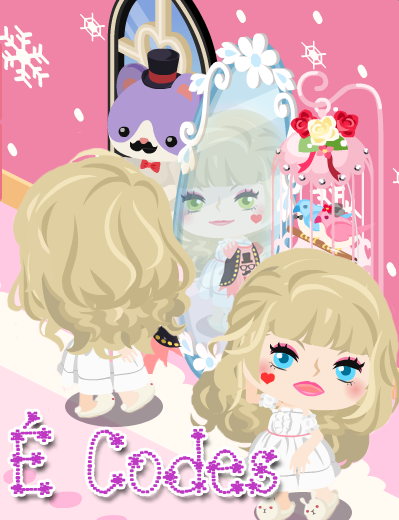 Étoile Code or É Code is where we share our fashion in the virtual world through combining the clothes, wigs and other stuff to have a creative outfit and fashionable daily Ameba Pico Life! We will make sure that this will be affordable for everyone, premium users, gummies users or casino users. 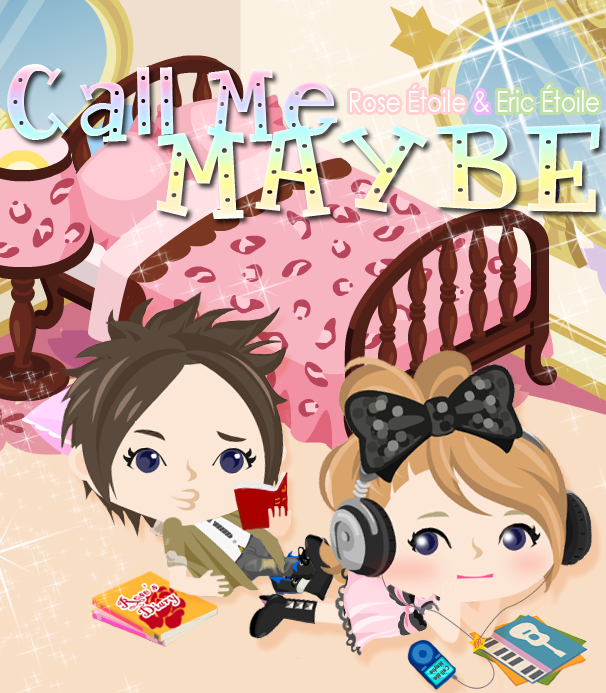 Most of the Étoiles are going to participate with our new sharing so feel free to check out É Code Album in our Facebook Page. For you not to miss our updates, don't forget to LIKE our PAGE that you can see on the right side of this blog. Just scroll up and down to see! We'll wait for you! Join Ape Étoile's Event! 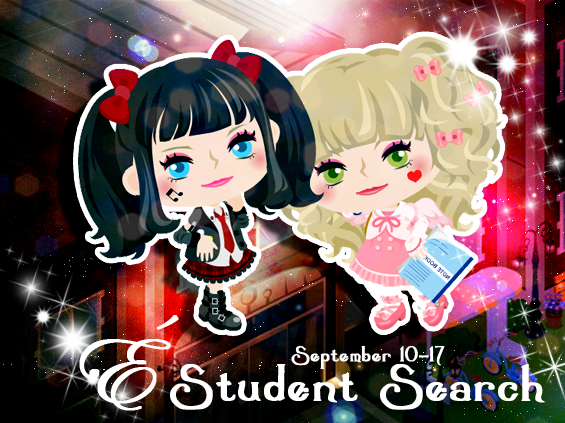 Join his drawing contest and don't miss your chance to win LOTS of prizes such as Ameba Gold, Gummies and pigg items!!!! This event is from September 29, 2012 to October 11, 2012. So why don't you try this out??? 2) The entry that you drew must be Me. 3) Use your ORIGINAL idea, no copying other entry or your out. 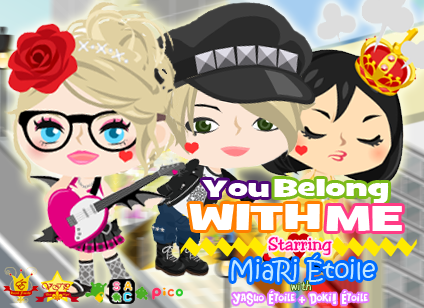 4) Don't forget to put your Pico ID, and if you play Ameba Pigg too, put your Pigg ID too then. 5) Do not edit your entry, remember this is DRAWING contest not EDITING contest. 8) Have to be colored ! 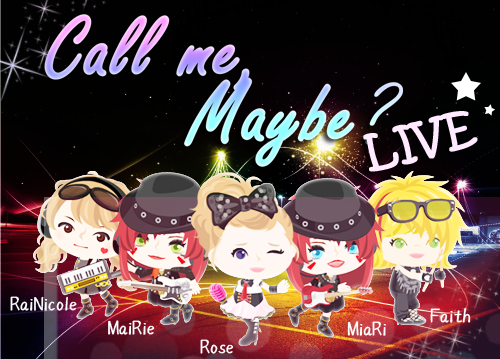 (i will log into ur account and using game-on voucher*ask indonesian gamers) + Pigg item prize (0-500 ag) + Buddy request(pigg and pico) + 35.000 Gm ! 50ag (i'm not sure for this one) + pigg item prize (0-300 ag) + Buddy request(pico) + 15.000 Gm ! Pigg item (0-400 ag) + Buddy request + 5.000 Gm! It's been a while since we do challenge! The Fancy Trump Challenge in Slot~ I just couldn't resits the items of it. 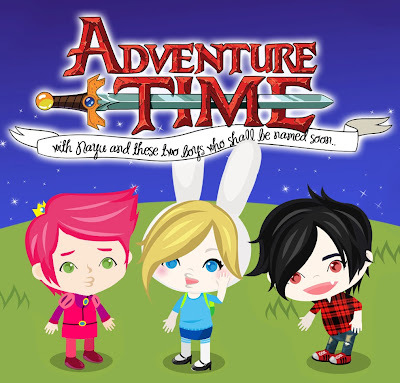 It's really like a 'Red Queen' though it's on Pink /sad. Well, you now, Red Queen has hearts so yeah, I decided to do the challenge! Don't miss the awesomeness!!! [NEW] Lotus Frog Park is Open Now!! Finally, someone has spoken. We've been judged for almost two years. After a long while, finally someone tell people, aside from me about her side... Maybe people should know first before believing the fake rumors eh? From the very first place, I didn't made the family to get 'LOTS' of members and be in fame. Mia and I became Étoile Sisters in October 2010. Then we started the family with Bry in November, but it was only for exclusive members,... mostly our old friends like YaSuo and Doki who were our first members in November 2010. Followed by the random members which Anna and Kenzie/Steph who were only the ones that were serious enough for the family while the others left, disappeared like a bubble. And in the end of year 2010, White joined. Until YaSuo's co-family members in other family (which is forbidden), had a problem and end up broken and they were Rose, Yumi and Miyu who end up joining us. Until Nicky, Cat, Chu, Ayame and others started on joining in 2011. I felt that I didn't really want a big family, I just want a small number of people yet we are one which they wanted to. So, the tamily closed in May 2011 after Kxtenn, Jean and Selly, who was known as 'The Last Étoile'. Yet, I don't know why our family turned out 'known' even though we only have 25 members by that time... so in our Anniversary in 2011, we decided to get 5 more members to at least, give a chance to the other people who wants to be part of us, there the Barons of our family has been chosen, who are Nayumi, Eric, Faith, Ape and Indy after receiving hundreds of entries. I don't really want to mention but, when Bry became part of Étoile, he didn't had lots of AG nor scooter or tiger, even the other Étoiles. Only Happy Clover/Neko Reborn Étoile and Zye/Kxtten the members who joined with Escargot already in early 2011. I've known them and became friends for quite long. They were the picos who chose to be forgotten after being known in 2010 and after that step, they joined my family with other pico name to be not be able get noticed by the others who know them. I chose them because I wanted to be the 'one' who will never forget their past and be the one who'll always remember it. So let me tell you, once again after many times. Not all Étoiles are wealthy in Ameba Gold, though, I admit that we are all now have escargots. I helped them because at that time, only 6-7 members got Escargot and I wanted them to be the same as me and the others who have it, I want us to be fair, to have one image so we helped each other out. That's why I really feel bad with the boastful people around us. Insulting and calling us names. 'We'll beat those Étoiles', 'We're richer than them', 'We all got escargot', 'We are more famous than you! ', 'Étoiles are only for AG and Casino rich picos', 'Étoile does mean star in french and they feel like they are a real star', are some of the messages who seems like daring us. Can't you see? People are misunderstanding everything and fooled and carried away by what they see and what they hear. Our only wish is not to be judge. Don't just look to us on how you hear and understand the rumor. I don't really want to mention an Étoile as an example to just to mention and point out that, that member isn't wealthy unlike the others. We're just maintaining to have one image in front of lots of people. Until now, I don't know why our family is known ever since. But my only dream is to be an inspiration of people which did happened and still happening... and I believe it'll keep on happening. That's why I am doing my best with my family, trying to help through contests ti give prizes in fair way. And through this blog and giving inspiration by being 'our own selves',producing videos and doing our best to be original. 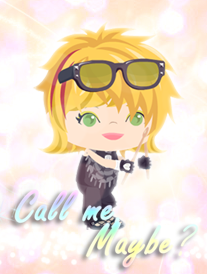 I want that 'MaiRie is a Role model in Ameba Pico' to stay after someone named me that in 2010 which is only my wish right now. After a quite long time on not seeing Neko a.k.a Sora and my lil sis, Kenzie in the game, I finally had a chance to talk with them after number of private chat on facebook. Neko is really busy with his work in real life and other private stuff as well as Kenzie since ever her school started. She have to focus on her studies since she's already in High School. For the recent people who just know us, probably you don't know who's Neko, He's Neko Reborn Étoile who was also known Happy Clover/Happy Clover É as Kxtenn/Kxtenn Étoile who was known as 'Zye' in 2010. He was quite known though, being known isn't really his thing so he chose to change his pico and face to be forgotten on behalf of that, someone took his name when he just change it for a while. Bad luck, isn't? Well, people like them in the game is rare... to chose to be forgotten than to be remembered. Well, I think they're mature enough to not to mind it but, I don't want them to be forgotten, I don't want someone to be forgotten. They should be appreciated. With our milk. Lol. That is what Neko called my pico daughter, Freúchette ❤ when he knew our relationship. He's Honey, I'm Sugar and she is Milk. Lol. Oh, by the way... for some information, Neko's face here is different, he's actually the Ninja Leaping guy on Youtube: Ameba Pico Leaping#1, Ameba Pico Leaping#2. Well, aside from this story, new fairy tale items again on the game! Well ,you guys know I love RED. Mia loves blue but she chose RED too. Ahaha! Camelia... don't you think she somewhat resembles to Rose? 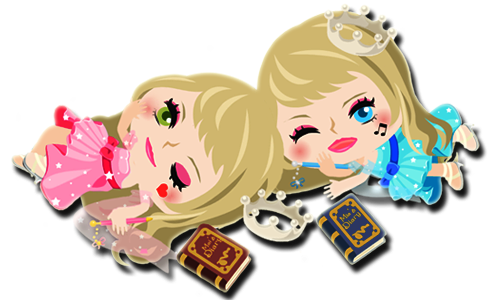 [NEW] Vivid Fairy Tale Shop Released!! We missed you so much! Hoping that you're doing well in real, busy with studies and I know you love traveling so we wish you that you enjoy everything you have now in your life. We miss you so much Jean! We're always open for you! On behalf of his post, just like what I promise, here's the official poster of our upcoming video, Call Me Maybe! Happy Happy Birthday Faith! So happy that Finally, you celebrated a birthday as an Étoile and that's your first time! I always feel happy whenever I think about it. You've done a lot already for the family and thank you so much for showing your the love and care to us. Keep being you are, you are perfect as you are and we love you for who you are. Also, as we promised, we will be announcing the title of our upcoming video on 26th of September. Wish me make it on time! 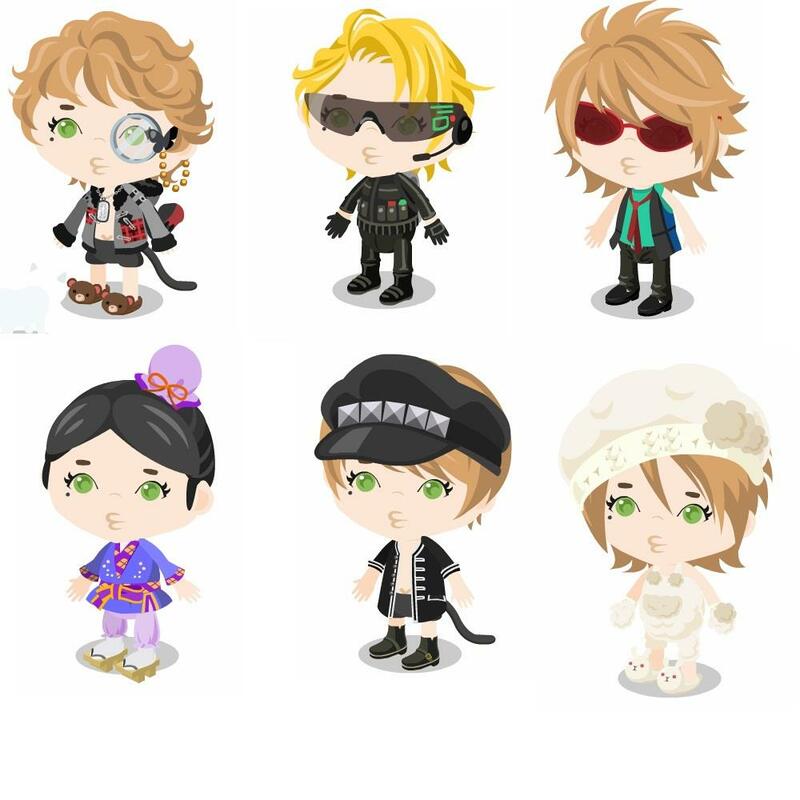 [NEW] Animal Circus Gacha Released!! [NEW] Funky Neon Shop Items Released!! Nayumi Étoile's another creation after the Once Direction! Aren't this exciting? 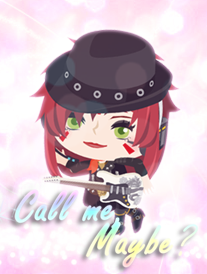 Well, Fiona(Nayu) is having a trouble with her perfect guy,... would you help her decide??? Prince Gumball or Marshall Lee?? These picos shall be named soon! Hello guys, I know that most of the players who are used to this game knows everything already but this is still important. No matter what how long you play this game, temptations are temptations that is hard to avoid. There this girl who asked a help to me to warn people so yeah, since, I've been seeing a lot of people experiencing this as well. There are lots of desperate pico users who wants there pico to look wealthy which is the reason they get tempted and tricked easily. What was got from this girl maybe just a little amount but, open your mind. This girl is just a student and as what she said it's her pocket money. I just feel bad instead to those people who trick people like her who only think of them selves. Selfish. They didn't even think how their victime would feel like but only think of them selves. To think of it, I more feel pity about the person who victimize people than to the victim. I'm not really sure about the person she reported to me, though, I want everyone to be careful who ever it is. You better not trust easily people in pico, in the internet.. in the cyber world. Everything could be fake. I want everyone to be aware. Not just in AG situation but also with other offers not just in pico world but outside of it as well. Maybe next time, you'll lost more than this that you never have expected. Be careful! 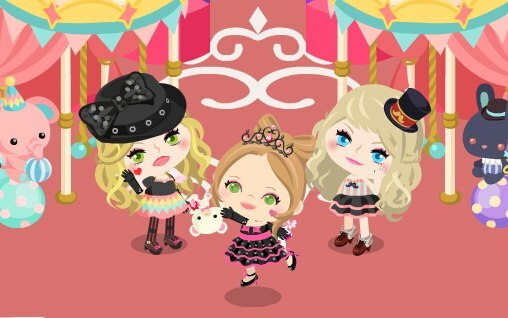 For more updates about situation like this, please like Protect Ameba Newbies. Please also report to me your experiences, they would help people around to be aware as a warn! Just,....awesome! Really awesome! Everythingwere so great and smooth. I really fell to Yama when he asked our daddy white to hand out. It quite sound ghay for me though,... you know.. BL. Hahaha! Well anyways... I was all excited and this video totally gave me goose bumps. I love it! I would even break my reply button! So guys, share share share!!!! Most of you are aware about our upcoming video and we will be needing picos for the video! Maybe this is your chance to be part of it? Ready? Things are going to be easy on how to join, so don't miss it, okay? -Take a picture of your pico wearing clothes that CAN BE WEAR in school in REAL LIFE. We just need normal daily clothes or uniforms, you don't really have to be fancy. Take a picture with white back ground just like this example of Anna Étoile. MAKE SURE YOUR PICO HAS SAME POSE IN EACH VIEW. If you don't know how to do this white back ground, check out É Secret#2 for a special guide on how to do it. And for the better quality of picture, check É Secret#3. -Upload it to EVENT PAGE(https://www.facebook.com/events/463150080396163). -Put your pico name on the description of your entry. If you ever change your name, please comment on your own entry that you change it. Ex: 'I changed my Pico name from 122345 to 876545'. 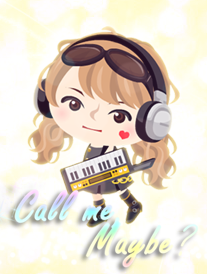 -For the better quality of your entry, please upload it to tinypic.com and add the URL to the description of your image when you submitted it with your pico name. -Don't forget to like our Facebook Page for more updates. Picos will be chosen randomly and for now, we can't tell how many picos will be in from this event. 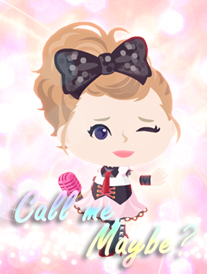 It's been two years since Ameba Pico put this one of the well known place in the virtual world, the Las Vegas Casino! And this month, it is celebrating the anniversary with a slot challenge! Selly Étoile with some of her items again. Yep, she's the most updated in our family right now the reason she's always the model. I just also want other people to be familiar with her. Well anyway, some of the times from the Monochrome Gothic Gacha are the lamp, TV, chair, curtain and the wig. I love the wig so much!!! So, you better get more cool items if you love gothic! 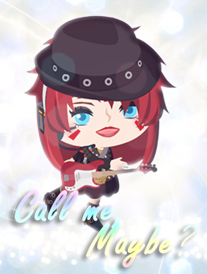 [NEW] Monochrome Gothic Gacha Released! !